Dr. Rajesh Shah, M.D.(Hom.) practices in Mumbai, India. He has studied homeopathy intensively for over thirty years, since 1980. 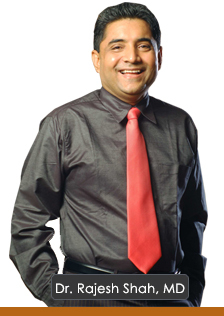 Dr. Rajesh is an internationally acclaimed physician, researcher and teacher. Over the years he has conducted seminars and workshops for the practitioners and the students in England, Holland, Belgium, Czech Rep., Greece, Sweden, U.S.A., Ireland, Croatia, Norway, Japan, India, etc. Dr Shah presents a modern and scientific face of homeopathy. His huge practice supported by clinical research based data, statistics and scientific documentation, makes it unique in the homeopathic world. He not only presents the ‘new face’ of modern homeopathy; but also responsible for ‘new phase’ in homeopathy. His global clinic in Mumbai is visited by patients from all over the world. His team of fifteen full time doctors and other support staff not only offer the best of homeopathic treatment but rather set international standards in Good Homeopathic Medical Practice (GHMP). Dr Shah has a distinction of having treated eminent patients from various faculties such as scientists, medical doctors, researchers, diplomats, ministers, film celebrities, professors, high profile government officers, etc. from many countries. At the same time, he is easily accessible to all patients. He is director of Homoeopathy India Foundation, editor of Homoeopathy Times, and author of My Experiences with Ferrum Metallicum and Lichen Planus and its Homeopathic Treatment (2003), Urticaria and its Homeopathic Treatment(2008) and Vitiligo treatment (2013).. He was an honorary visiting lecturer and physician at CMPH Medical College and Hospital, under Bombay University. He had been interviewed on several occasions over the television in Bombay, London, New York, etc. He has contributed many scientific papers on homeopathy, published in various international journals. He has introduced new concepts in the field of homeopathy useful to the medical professionals. He is largely engaged into research exploring the role of homeopathy for the treatment of difficult diseases. 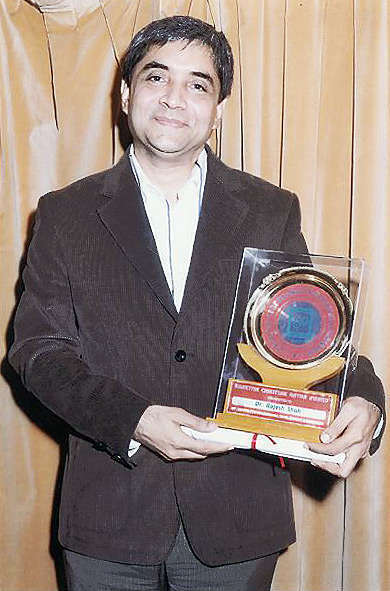 Dr. Rajesh has been featured in the Limca Book of Records for treating patients from 177 countries, as on July, 2011. 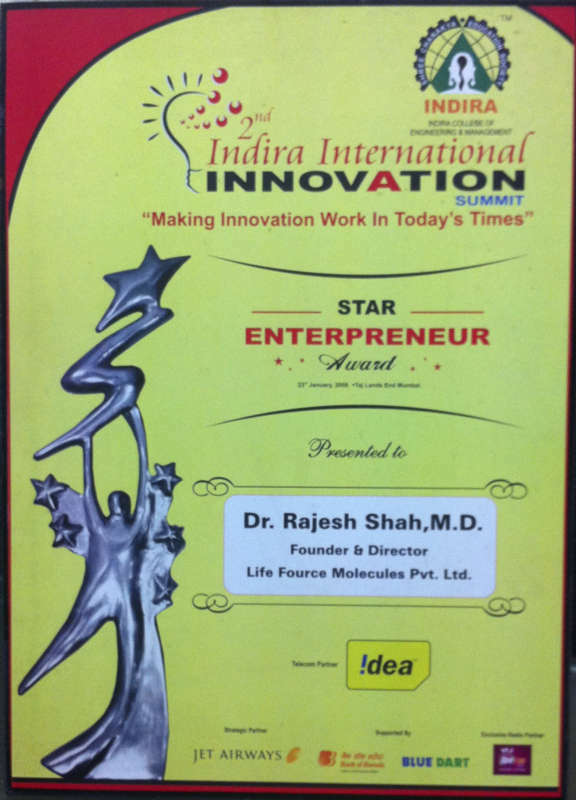 In January 2009, Dr Rajesh Shah was conferred upon with “Star Entrepreneur Award” for “Making Innovation Work in Today’s Times” by Indira International Innovation summit, under care of Indira group of Engineering and Management colleges. 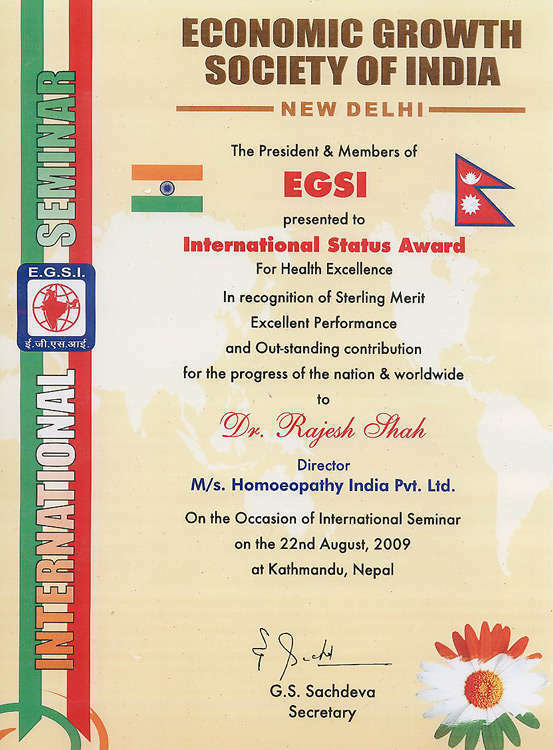 On the occasion of International seminar on the 22nd Aug, 09 at Katmandu, Nepal Dr. Rajesh Shah was conferred with International Status Award by Economic Growth Society of India, for excellent performance and outstanding contribution for the progress of nation and worldwide.Click here to view certificate. 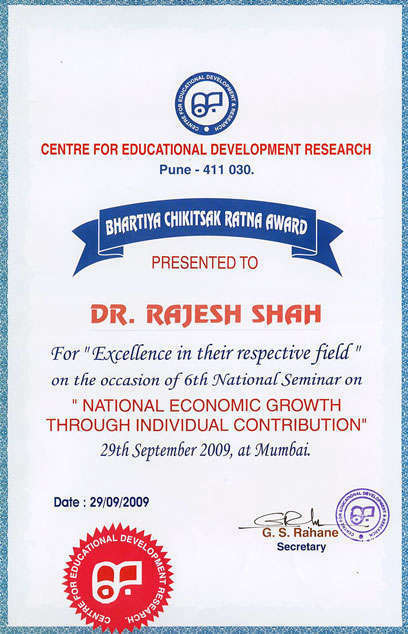 On 29th Sep, 09 Dr Rajesh Shah was conferred with Bhartiya Chikitsak Ratna Award by Center of Educational Development Research, Pune for National Economic Growth through Individual Contribution. Click here to view certificate. Currently, Dr Shah is involved in several research projects, some of them include clinical trials on HIV, Hepatitis C, Psoriasis, Vitiligo, the homeopathic pathogenetic trials, etc. even also , some says operation/surgery is the only way,,some says medicine.,yoga,homoeopathy cure..
so please help me out and suggest me because i am ignoring this from years, ? i put up in delhi,,so can i contact you ?, if you provide a phone number,or you can contact me..i will be very grateful to you. In the left kidney of my wife Vibha two small measuring 5.5 and 4.4 mm CALCULI ARE SEEN IN MIDDLE CALYX. I request you to suggest the medicine to get rid of these stones. not clined my kidni ston. 5 year’s. .
plz u helping me. tell me Madison’s plz ….